The police procedural. A genre that emphasizes teamwork, investigation and epic shootouts with criminal ne’er-do-wells. In short, set it on a space station or distant planet and you have the perfect premise for a Starfinder game. This is Creative Characters, providing you with interesting and unique characters of various levels to drop straight into your games. 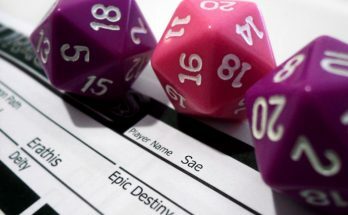 Whether you need an NPC, pre-generated characters for a one-shot or an emergency replacement character, we’ve got you covered. Our next series of characters provide options for professional law enforcement in your game and in Starfinder that’s the Stewards. These characters could be used as PCs in a mystery one-shot or “case-of-the-week” style game. Or they could be just the NPCs to put the pressure on your players when they get involved in shadier dealings. But these aren’t just any cops. They are the members of the Particular Crimes Unit (PCU). Headed by the peerless Captain Wun, they solve the cases that require more than the usual technical know-how and expertise. They also get saddled with the cases just too mindbendingly weird for the rest of the precinct. As such, there will be a few restrictions on these character builds. First, all characters will be using at least a few levels of the mechanic class to reflect their role as a special task force. And second, they will all possess the steward officer archetype, to reflect their training in law enforcement. First up we have Detective Drabu Hex. Init +8; Perception +16, darkvision 60 ft.
Drabu is acclimated to thin atmospheres and is treated as a Small creature for the purpose of slow suffocation. Drabu has constructed a sophisticated stealth drone to assist him with surveillance operations. See below for the drone’s statistics. In addition to gaining Diplomacy and Culture as class skills, Drabu can use Diplomacy for Intimidate checks to demoralize a creature and Culture for Life Science checks to identify humanoids and monstrous humanoids. When Drabu attempts a Diplomacy check to change a creature’s attitude, the target’s attitude only worsens if he fails the check by 10 or more. Drabu has a custom rig installed as an augmentation in his eye system, which counts as an engineering or hacking kit of 6th level or lower as well as a tier 3 computer with the security I module. It also counts as an Mk I comm unit and audio/video recorder and can communicate with his stealth drone and ship at a range of 5 miles. Whenever Drabu successfully uses his rig to hack into a computer, he can disable one countermeasure (excluding firewalls). As a full action, Drabu can alter his vision to detect latent heat trails, using Perception to follow tracks as the tracking universal creature rule. While active, Drabu takes a –1 penalty to Reflex saving throws. This ability can be deactivated as a move action. Once per day as a move action, Drabu can repair damage to a starship or modify a weapon or armor to function more efficiently, restoring Hull points equal to the starship’s base frame HP increment or grant a +2 enhancement bonus to EAC and KAC or attack and damage rolls for one minute. As a standard action, Drabu can cause a short in an electronic device, rendering it non-functional for 1 round. If the device is in someone’s possession, they may attempt a DC 15 Reflex saving throw to negate the effect. Drabu can attempt Computers and Engineering skill checks at a range of 30 feet. Drabu can use Diplomacy to gather information about a specific individual in half the normal time and reduces the penalty for following tracks while moving at full speed to 0. Few members of the force have the patience for the more tedious aspects of police work. The careful accumulation of evidence. The unremitting wait of an extended stakeout. The paperwork. But as a child Drabu counted the stars, traced their path and pattern across the sky until he knew their places in it. He understands the value of patience, and precision, and were it not for his undeniable competence in the field the rest of the PCU would likely “delegate” all their paperwork to him, he actually seems to enjoy it. Regarding colleagues, Drabu has a bountiful appreciation for Sergeant Triln’s forthright manner and firm leadership, though his natural fastidiousness and own deliberate efforts often drive the sergeant to fits of bellowing exasperation. On a case, Drabu is often the one to gather intel on a perp, using his drone to scout and gather crucial evidence before setting both himself and his drone with a good vantage to act as fire support. Next week, we’ll introduce the second member of the PCU and Captain Wun’s right hand; Sergeant Triln.